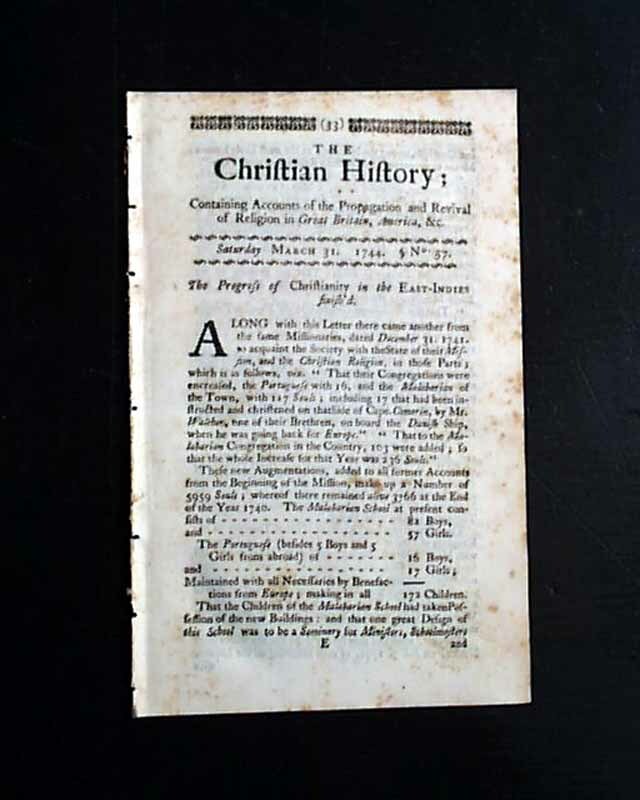 THE CHRISTIAN HISTORY, Boston, March 31, 1744 This was the first successful magazine in America although formatted unlike typical magazines. 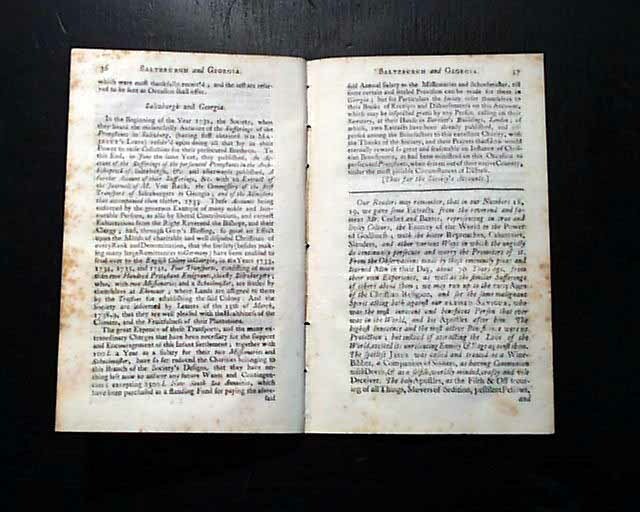 It was exclusively a chronicle of the Great Awakening in America, exclusively of secular news reports. It was preceded by just a few magazines which lasted but a couple of issues--one of which was by Ben Franklin. Even this title lasted but a few short years. 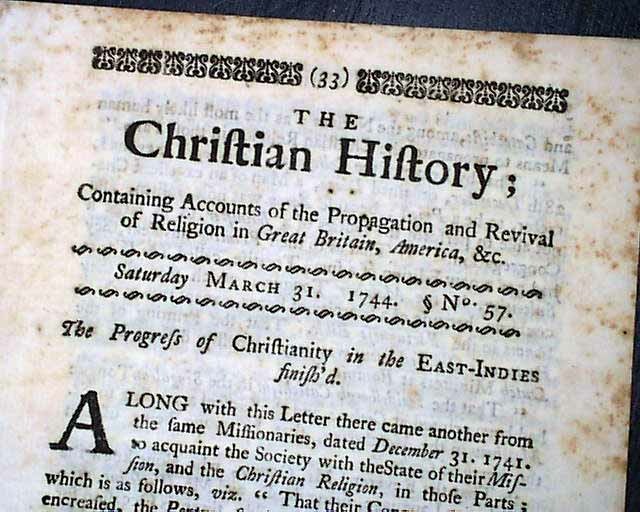 As the subtitle reads: "Containing Accounts of the Propagation & Revival of Religion in Great Britain & America", this 8 page magazine is almost entirely taken up with religious content from the "Great Awakening" period in American history. In great condition, measures 4 3/4 by 8 inches. A rare opportunity for an American periodical from such an early year. Included is a photocopy of the volume's title page which contains the Boston imprint.